I’m a sucker for all things old, and I’m a reporter. Under normal circumstances, these two things don’t jive. 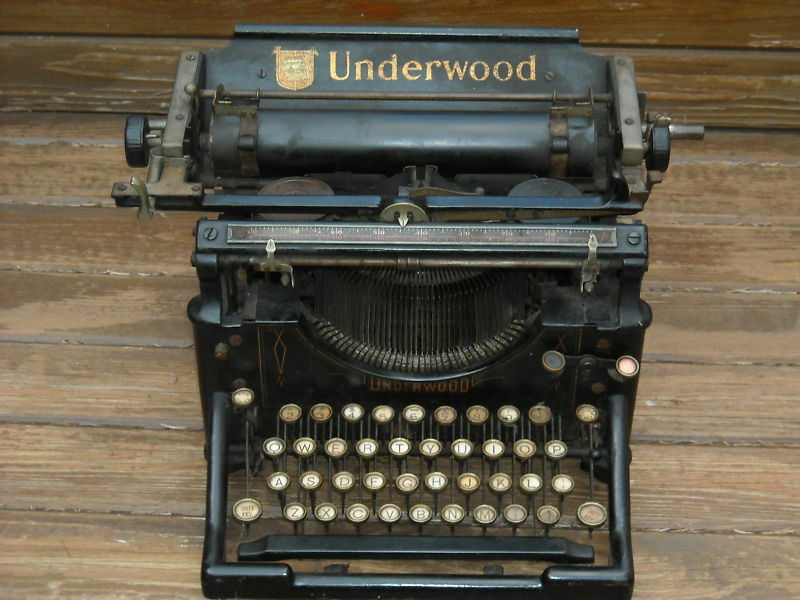 But I love reporting, and I love the sound and feel of typing on the old bangers. So here’s the challenge I’ve undertaken: Take the prettiest old typewriter I can reasonably afford on eBay, and turn it into a working keyboard and monitor. The keyboard part has mostly been figured out, thanks to some brilliant bastards over at www.usbtypewriter.com. While challenging, I’ve got a course laid out in front of me. Fabricating a way to get a monitor onto this thing, and doing so tastefully with the existing style is going to be a whole new challenge. It’s going to take time, and it’s probably going to take some cash. Wish me luck!